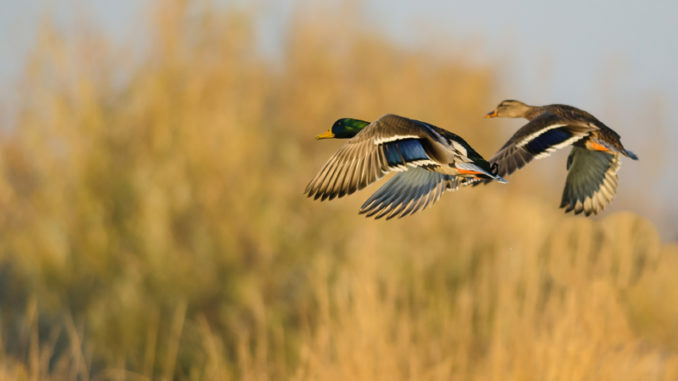 January's aerial waterfowl survey conducted by the LDWF was a fitting end to a weak migration year, according to waterfowl study leader Larry Reynolds. 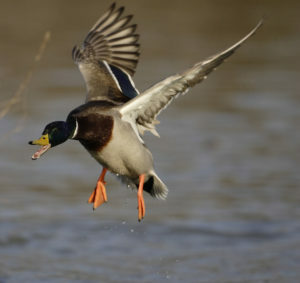 January’s aerial waterfowl survey seemed to confirm what many Louisiana duck hunters suspected as the 2018-19 season wound down: not many additional birds moved into the state since December, and numbers seemed well below the long-term average. 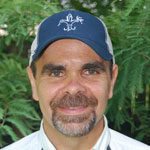 Larry Reynolds, waterfowl study leader for the Louisiana Department of Wildlife and Fisheries, confirmed those suspicions in his report released Thursday afternoon, which estimated 2.05 million birds in the state when transect lines were flown over the last week — 33 percent less than last January’s estimate of 3.07 million, and 31 percent below the long-term average fof 2.99 million for the month. Reynolds summed up the most recent survey as weak, and said the 2018-19 season was just a relatively poor year. “It was a weak survey, that’s all there was to it,” Reynolds said in a phone interview. “At least it looked a little more normal than the December survey. In that one, we had all those diving ducks, and it was a real mixed message because diving duck are typically your later migrants — except for the ringnecks — but we had all those canvasback, and lots of scaup at Catahoula Lake. For duck hunters wondering about specifics as to why the season was poor, Reynolds shared his thoughts. He pointed out how mallard band recovery patterns reflect how weather patterns impact migration. “What we see in mallard band recoveries is that when it’s cold and dry, the recovery distribution shifts to the south,” he said. “When it’s warm and wet, the recovery distribution shifts to the north. The increase in dabbling ducks from the December survey was mostly balanced by a decline in diving ducks, especially at Catahoula Lake, where 152,000 fewer scaup, ring-necked ducks, and canvasbacks were counted on this survey compared to last month (although 20,000 ring-necked ducks and 13,000 canvasbacks were counted on the adjacent Catahoula National Wildlife Refuge during the Northeasat Louisiana survey reported below). Larry Reynolds said a warm, wet winter is one of the likely reasons Louisiana experienced a relatively poor duck migration this season. Estimates for gadwall (357,000 to 610,000), green-winged teal (181,000 to 385,000), scaup (117,000 to 204,000), and shovelers (102,000 to 175,000) showed the largest increases, while ring-necked ducks (591,000 to 309,000) and canvasbacks (220,000 to 60,000) had the largest declines from the December survey. The 52,000 estimate for mottled ducks was 40 percent higher than December, and the highest since 2012. Most mottled ducks were seen on transect lines in Plaquemines and St. Bernard Parishes, but the total estimate remains 30 percent below the long-term January average of 74,000. All other species except scaup and ring-necked ducks were below long-term January averages. Distribution of ducks was skewed toward Southwest Louisiana, with 63 percent being counted in that region for January, compared to the nearly even distribution in December. Dabbling ducks made up 80 percent of the estimate in Southwest Louisiana, an increase from 70 percent in December, while diving ducks fell from 76 percent of the estimate in Southeast Louisiana to only 41 percent on this survey, due to a large decline in ring-necked ducks (425,000 to 129,000) in that region. The large concentration of ring-necked ducks seen in the upper-Terrebonne marshes south of Amelia in December were not present on this survey. Smaller, but notable concentrations in Southeast Louisiana were seen on Delta Farms near Larose and in the marshes northeast of Venice. In Southwest Louisiana, concentrations of mixed dabbling ducks were seen on Lacassine National Wildlife Refuge, Rockefeller Refuge and the marshes near the western side of Grand Lake; and a concentration of ring-necked ducks was seen on a sewage lagoon near Rayne. Large groups of mostly snow geese were noted southwest of Gueydan and north of Lacassine NWR. Water levels in the marsh were much higher in non-tidal locations across Southwest Louisiana during this survey than in December, and were well above optimal for foraging dabbling ducks. In tidal saline and brackish marshes, water levels were lower but not as low as reported in December. Relatively little submerged aquatic vegetation was visible, even in areas of low water. However, there was continued abundant shallow flooding in agricultural areas from past wet conditions and recent rainfall, with some flooding in most fields and pastures. In Southeast Louisiana, water levels were slightly higher than in December and good submerged aquatic vegetation was still evident in a number of surveyed locations. Consequently, habitat conditions in the coastal region are expected to remain about average overall. The water level at Catahoula Lake increased markedly since the December survey, and was 17 feet above the management target during the survey. The 4,000 ducks on this survey were the fewest since 2009, when only 3,000 were counted, and are only 4 percent of the most recent 10-year average of 79,000 ducks. Target water level has seldom been maintained in January during the last 10 years, and 92 percent of the ducks counted on the lake have been diving ducks during that time. Another 18,700 ducks were counted on the Northwest Louisiana survey, primarily on the locks, lakes,oxbows, and fields along the Red River and upper-Toledo Bend reservoir. That’s about the same as December and 7 percent lower than last January’s count of 20,000, but 21 percent higher than the most recent 10-year average of 15,400. Gadwall was the most abundant species (5,100), and along with shovelers (2,800), mallards (2,400), green-winged teal (2,100), ring-necked ducks (2,000), and scaup (1,200) accounted for 83 percent of the ducks counted. About 5,700 ducks were counted on managed impoundments near Bayou Pierre, 4,700 on the Lower Cane unit of Red River National Wildlife Refuge, and another 4,700 on managed impoundments near Loggy Bayou. Habitat conditions were much wetter than the December survey, with higher river levels and flooding in many adjacent pastures and fields. High water was noted in all reservoirs, but only Wallace Lake had substantial coverage of invasive aquatics. In Northeast Louisiana, 221,000 ducks and 153,000 geese (<5% white-fronted) were counted on selected habitats during the traditional cruise survey that was standardized in 2005. That is an 87 percent increase from the 118,000 ducks and a 26 percent increase from the 121,000 geese counted in December. Similarly, those counts are more than twice the 103,000 ducks and 68,000 geese counted last January when ice covered much of the surveyed area. The duck count is 18 percent higher than the most recent 10-year average of 187,000, but the goose count is 31 percent lower than the 10-year average of 221,000. Ring-necks (70,000) were the most abundant duck species that along with gadwall (64,000), pintail (31,000), mallard (24,000), canvasback (13,000) and shoveler (12,000), accounted for 97 percent of the ducks counted. The surveyed area continues to be far wetter than normal, with increased backwater flooding in all river systems and flooding in agricultural habitats since the December survey. The largest concentrations were 69,000 mostly gadwalls, pintails, ringnecks and mallards in the Bonita/Mer Rouge area; 35,000 mostly ring-necked ducks and canvasbacks at Catahoula National Wildlife Refuge; 32,000 mostly ring-necked ducks, shovelers and gadwalls in the Bunkie/Grand Cote areas and 31,000 mostly gadwalls, pintails and mallards at Delta Farms east of Catahoula Lake. The biggest concentrations of geese were seen in agricultural fields in the Bonita/Mer Rouge area (80,000) and around Bunkie/Grand Cote (59,000).